Think you know all there is to know about measuring soil moisture and salinity and how it affects turfgrass conditions? Researchers at New Mexico State University are convinced there is more to learn and will undertake a study this year that they hope will shed more light on soil moisture, soil salinity, when irrigation to remedy either is necessary and how much. "There are times when soil contains enough moisture that it doesn't trigger a need for irrigation, but salinity content triggers the need to leach salts out of the profile," said Bernd Leinauer, Ph.D., professor and turfgrass extension specialist at New Mexico State University. "This is where the project comes into play. Computer engineers will develop an algorithm that combines both aspects to determine if irrigation is necessary and to what extent. "We want to take the guesswork out of that and hopefully develop technology that will determine that decision for us." The project, which will be conducted with Toro and the Colorado School of Mines and is funded by the National Science Foundation, is scheduled to begin later this year. Funding for the study will cover 18 months of research, but Leinauer hopes to collect enough data soon enough to secure enough money to continue the study beyond that. "Hopefully, we will have enough baseline data available for more funding to carry over for a longer period of time," he said. "Salinity and salt build-up take time in field studies." Although soil-monitoring devices, either handheld or those installed underground, have been widely embraced by the golf industry, others in the T&O market have not been so quick to adopt this technology. And much of the impetus for the study has come from those who have not used it. In fact, the very stipulation for securing the funding is to investigate "promising technology already in existence that hasn't been accepted or used by industry or the end user." Previous research on soil moisture monitoring conducted at New Mexico State, Leinauer said, has shown reductions in irrigation of as much as 40 percent. With the advent of new, more salt-tolerant grasses (both warm- and cool-season varieties), savings could exceed that shown in previous studies, he said. "We're losing potable water and resorting to effluent, recycled water, gray water, whatever term comes to mind. That is what we have now," he said. "Salinity becomes a more critical aspect. "Salts don't disappear. We just move them to different areas in the profile where they don't pose as much of a risk." 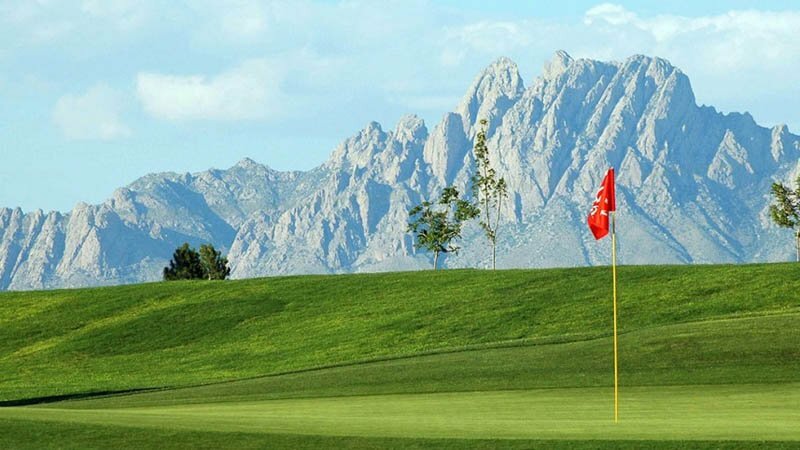 As more turf managers become more reliant on alternative water sources, Leinauer believes the results of the study will help end users far beyond the borders of New Mexico. "This certainly doesn't relate just to New Mexico, but the entire southwest and anywhere in the U.S. or the world that has water-shortage issues. That makes our work even more important."